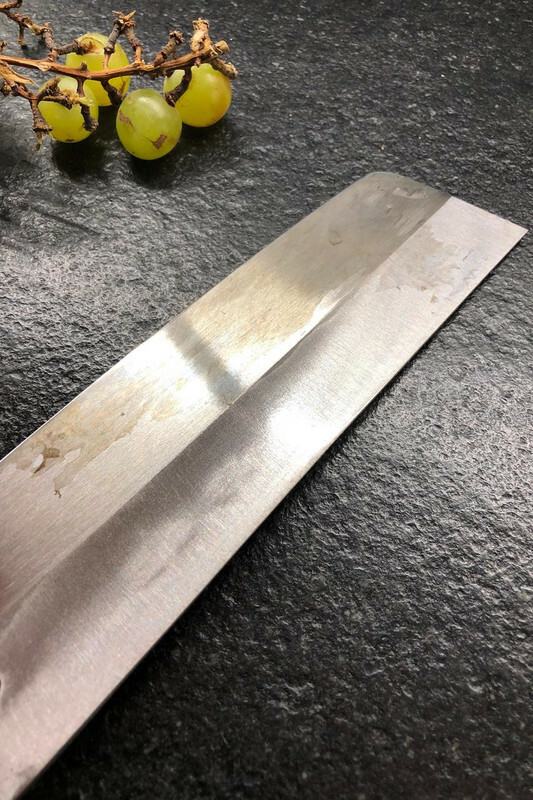 I have been using this Ishikawa Nakiri for a few months and have been taking proper care of it as I do with all my knives. 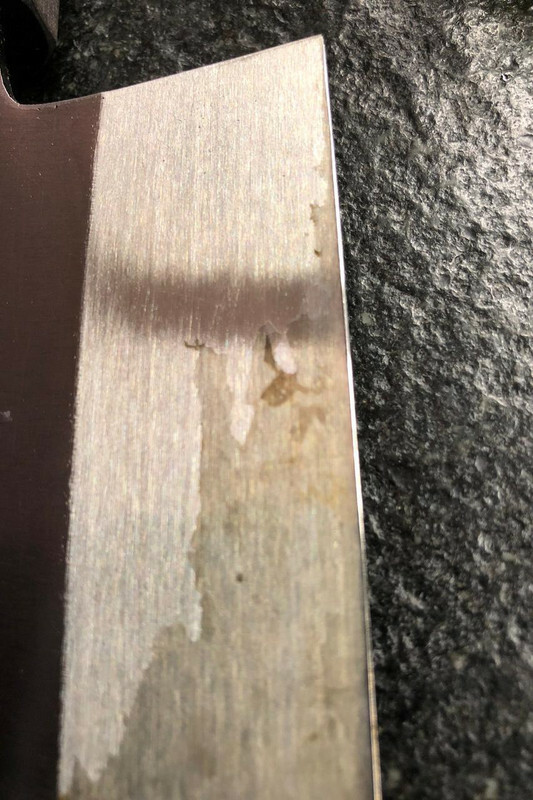 It has performed well but now its time to sharpen it and there is something that bothers me a lot that I wish to take care of while I take it to the stones, and its the original varnish lacquer finish peeling off which has cause it to patina unevenly, something that has never happened to me with any of my other knives. How would you deal with this, please advise. You can take the rest of the lacquer off. I've used finger nail polish remover before with no issues. Just rinse with soap and water when you are done to stop the process. Last edited by delmar on Wed Jun 13, 2018 4:08 pm, edited 1 time in total. You can strip that off with nail polish remover (acetone). It takes a little work but it does the job. Any advise on how to even out the patina? Tons of discussions about patinas. Just search. You'll need to take off the old patina to let it even out. But you might want to let it be - may turn out kinda cool with some patina set in deeper than other areas. I'd just let it go too. Like delmar said it might look pretty cool in time. If you don't like the way it's turning out you can always polish it out later and start all over. 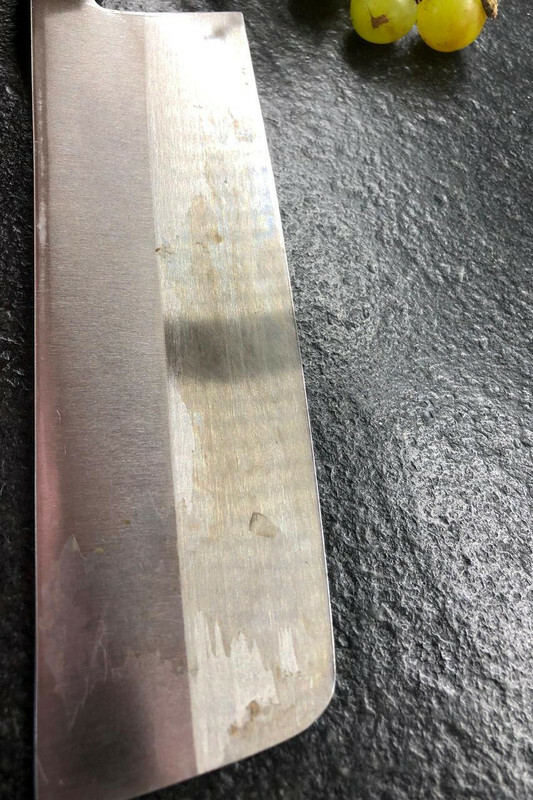 Well now I have a harder problem besides the keeping or reseting patina, I have no experience sharpening single bevel knives and after some research I might just take it to Korin or just sell it. These things make me too anxious. 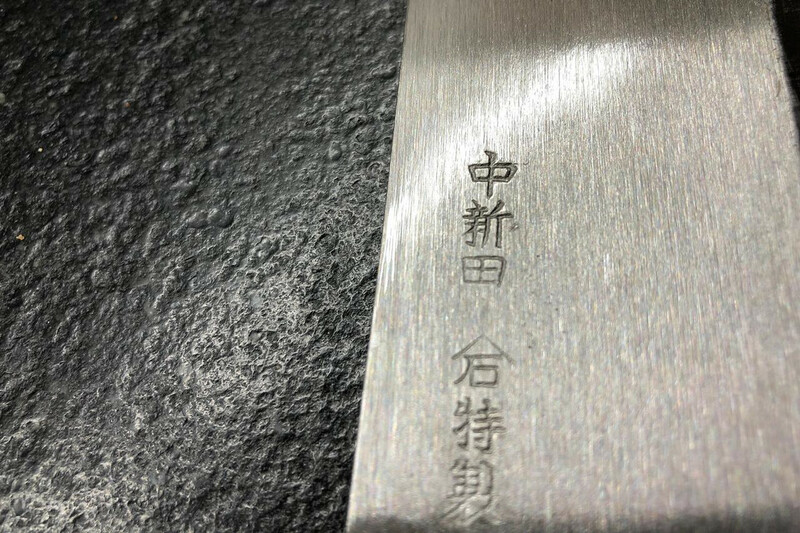 Single bevel should be even simpler to sharpen than a double bevel, shouldn't be a reason to sell it! If it has a proper ura on the backside, you can just sharpen the front side as a wide bevel then deburr with the ura flat on the stone. Acetone will take care of the lacquer. I've used Flitz metal polish on carbon steel blades to even out an uneven patina; it seems gentle enough.